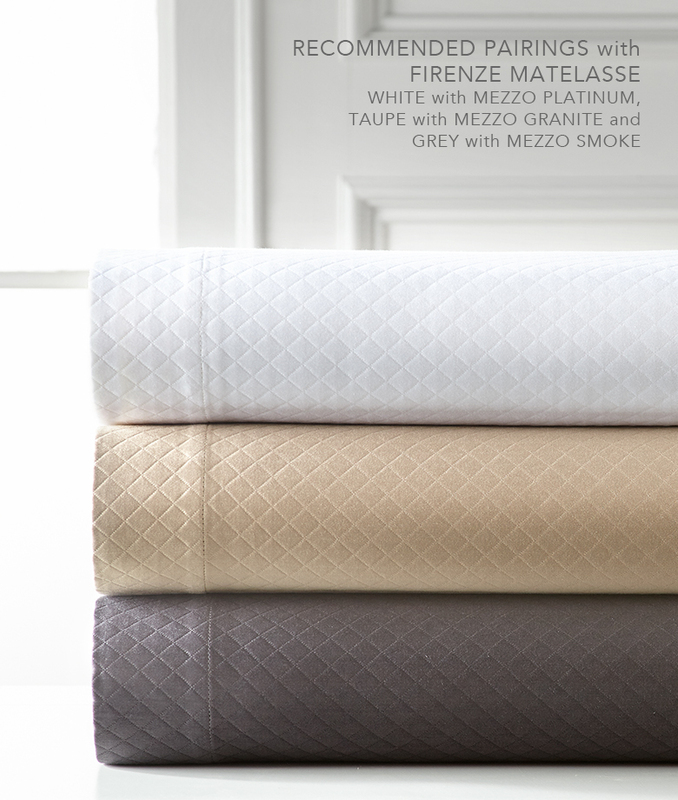 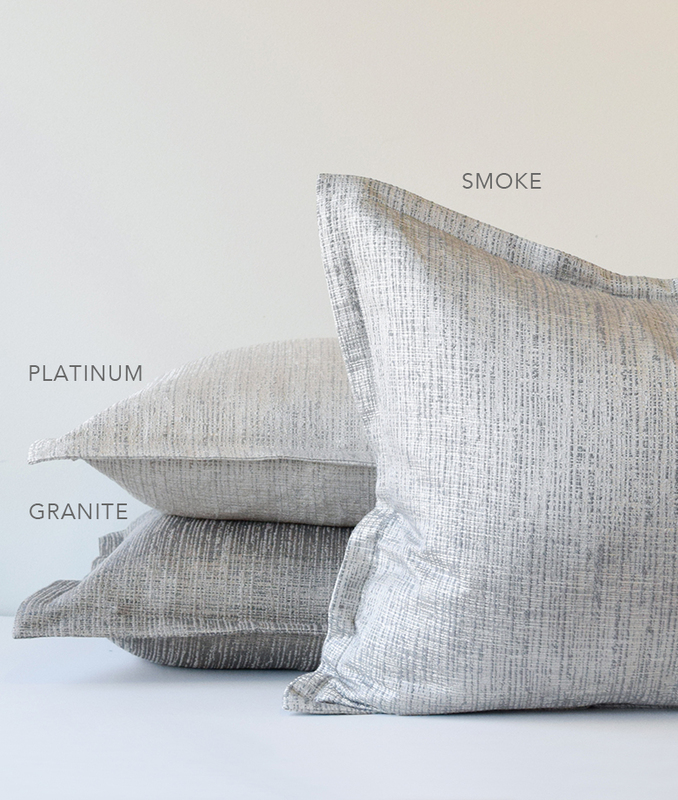 Mezzo is all about texture and contrast; in three colors - Smoke, Granite and Platinum. 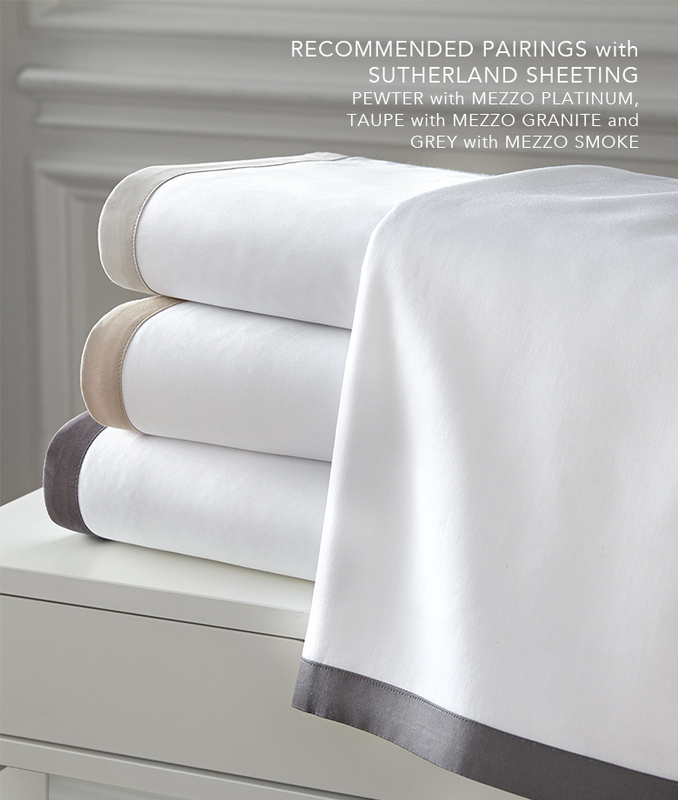 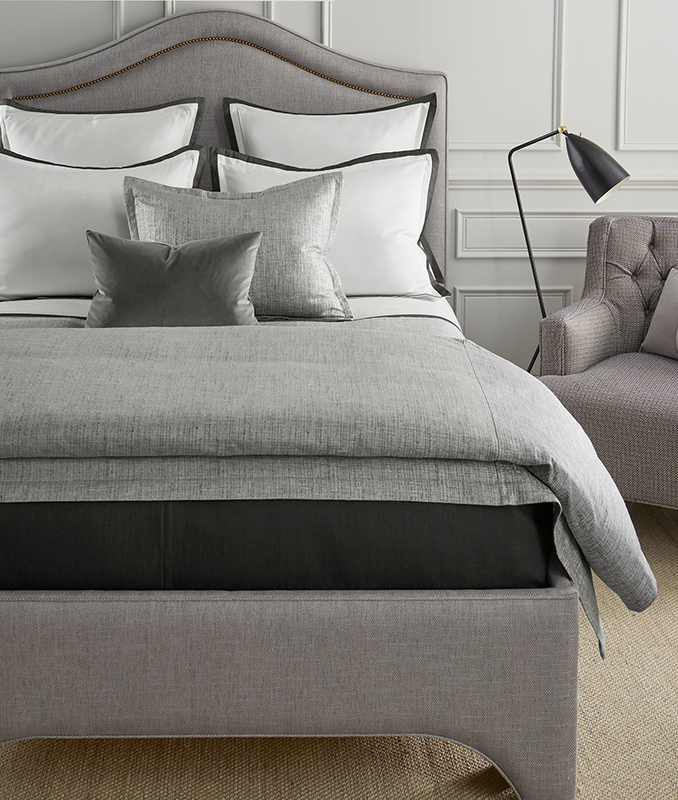 Mezzo Smoke shown with Sutherland White with Grey Shams and Sheet Sets; Coverlets are Amagansett Seaside and Slubby Linen Steel; Headboard is Cecilia Single Nailhead Border in Alto Feather with Cameron Bed Frame. 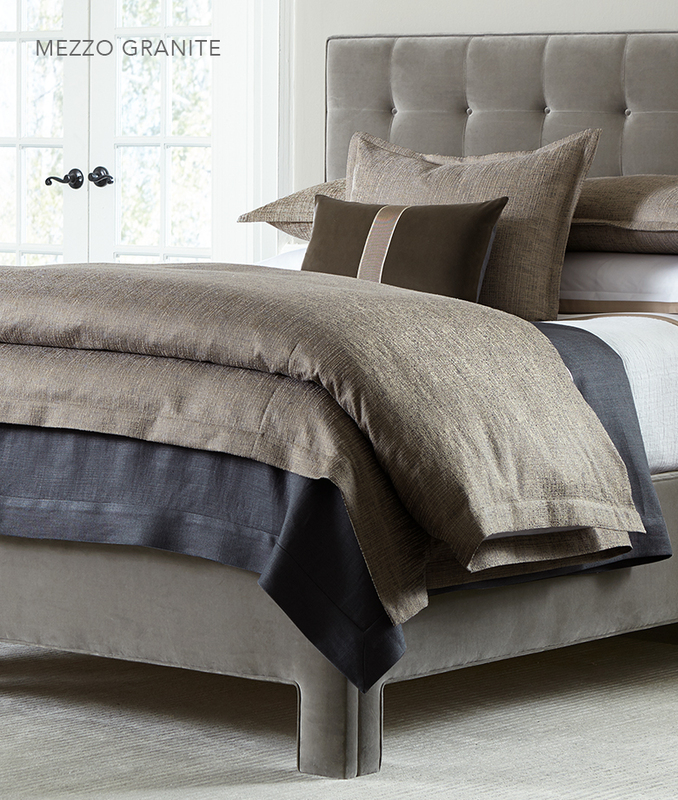 Mezzo Granite shown with Sutherland White with Taupe Shams and Sheet Sets; Coverlets are Chamber Matelasse White and Slubby Linen Slate; Headboard is Cameron Buttons and Cross Seams in Giorgio Velvet Stone with Cameron Bed Frame.